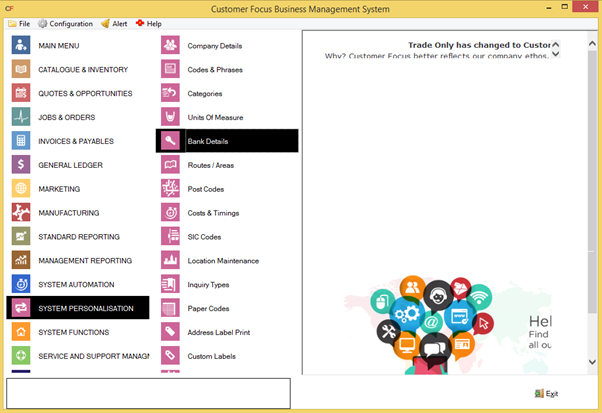 The following help sheet explains how to both add new bank details and amend existing details in Enterprise. The Bank Details screen will now be displayed. 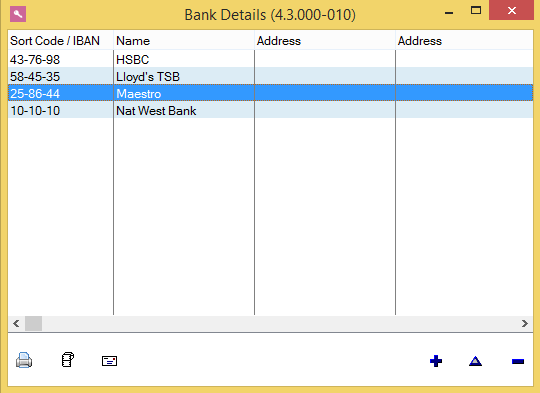 Click on the blue ‘+’ icon in the bottom-right of the screen to add a new set of bank details, or highlight an existing one and click the blue triangle in the bottom-right to amend them. After clicking one of these buttons, the ‘Add Bank Details’ screen is displayed. Here you can enter all the relevant details for your bank / account before saving them into the system. 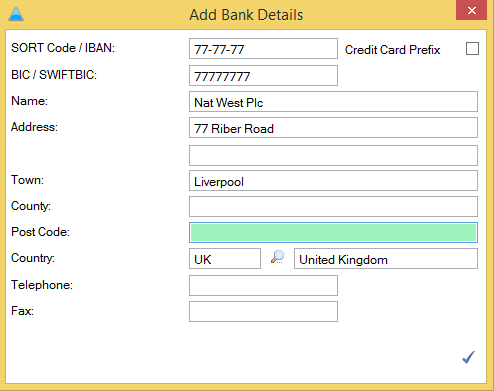 NOTE: If these details are part of a credit card account, ensure you check the box allowing the system to predict this prefix, otherwise you may be met with an ‘invalid value’ message.